Book artists, zinesters, small press publishers, graphic designers, chapbook-penning poets, and printed matter-makers of all stripes are invited to submit materials for circulation at the Floating Library. 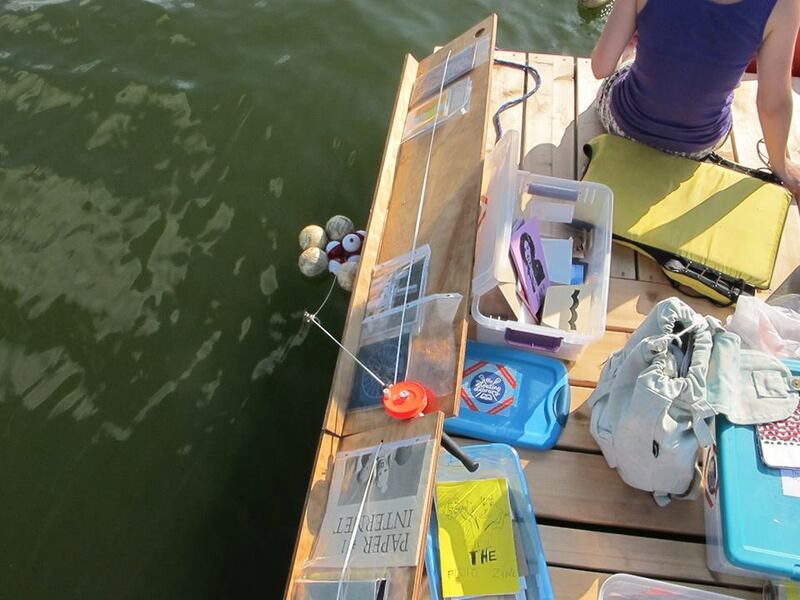 The Floating Library is an experimental public art project that introduces the creative genre of artists’ books and printed matter to people recreating on an urban lake in Minnesota. The Floating Library is a custom-designed raft with bookshelves that hold printed matter for perusal on the water. Folks in canoes, kayaks, paddleboards, skiffs, rowboats, or even inner tubes are invited to paddle up and browse from inside their watercraft. Protective covers on the shelves do their best to keep materials dry. The Library is staffed by friendly floating librarians who facilitate the check out system and make reading suggestions. The check-out and return system is honor-based, but it’s Minnesota (land of volunteerism and participatory civic engagement) so we hope for the best in this regard. 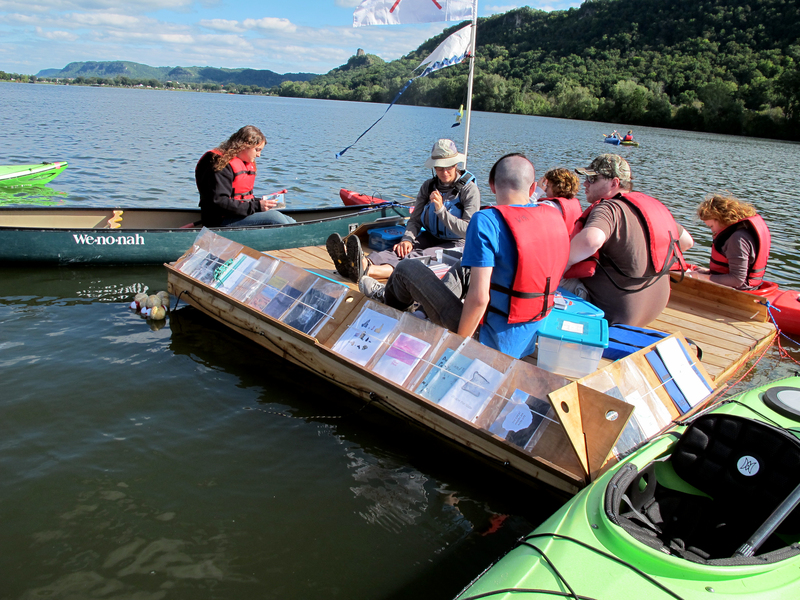 Patrons return materials to the Floating Library or at book deposit boxes scattered around Silverwood Park. Artists’ books and printed matter addressing any themes. Multiple copies are welcome but not necessary. Works designed especially for a lake-based library are encouraged (waterproof pages, designed to get wet, etc.)! We’re excited to announce that the Floating Library will enjoy some time in the sun this summer at Silverwood Park in St. Anthony, MN. We’re happy to be hosted by this beautiful, art-themed nature park and to share space with resources such as a poetry-walk, an island on which one can read books, an art gallery, a coffee shop, restored prairie, cheap canoe and kayak rentals, nearby bathrooms with real plumbing, and a motorized boat for towing! (Those who volunteered to paddle the Library last year will understand the significance of this support.) Thank you, Silverwood!